I hope you have been having a great "Getaway" on the Island Batik blog hop! An easy place to start your "Getaway" is on the Island Batik blog where you can see the entire schedule as well as get a glimpse of what each collection looks like. And be sure to enter the giveaway to be eligible to win some souvenirs from the "Getaway" too! The collection that I want to share with you is Paisley Park. To showcase the collection, I designed and am releasing a new pattern Dots & Dashes. The pattern is available for purchase in my Etsy store. Dots & Dashes is made with the Paisley Park Collection from Island Batik, Steam-A-Steam Lite and Warm 80/20 batting from The Warm Company and Aurifil thread. 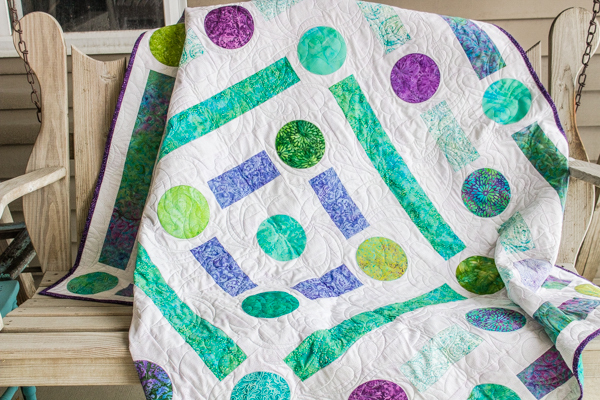 Dots & Dashes features easy strip piecing paired with raw edge fusible applique to create this stunning quilt. 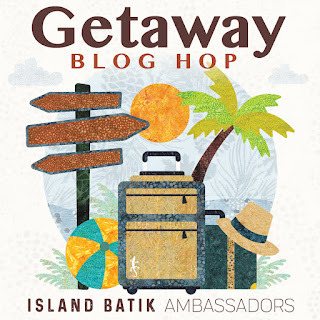 Be sure to follow along on the hop by visiting all the "Getaway" locations and don't forget to enter the giveaway sponsored by Island Batik for some fun fabric bundles! I will be giving away 3 Dots & Dashes patterns, so leave me a comment about what you want to "Getaway" and I will select three lucky winners at the end of the blog hop! Those colors of Paisley Park, beautiful, my favorites! A fresh and modern design of your quilt, stunning! Love the dots and the applique close up. Getaway, a quilting retreat would be my choice, and as I have not been to one ever, would be a dream. Taking some Island Batik would be the icing. Beautiful fabrics and you have them playing wonderfully together. Beautiful quilt! Enjoy your day! Beautiful fabrics. Would love to get away to one of the big quilt shows, experience all the quilts and, of course, the shopping. Would love to getaway to someplace I've never been before. 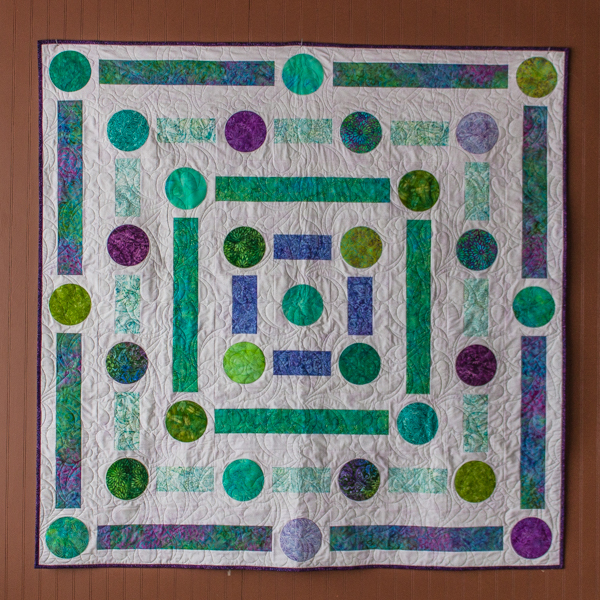 I love the graphic design of this quilt and the Island Batik fabrics just shine in it. What a great collection of batiks! Beautiful quilt. I like the mix of straight line shapes and the circles. Island Batik has gorgeous fabric lines. I would love to getaway during the Fall. Living in Southern Florida makes me miss the changing of the seasons and watching the leaves change colors and fall to the ground. At one point in time there was a train you could take that would travel through an area that has lots of leaves that change to some brilliant colors. I think that would be fun. ohh your quilt is lovely. Getaway - I would love to go to a cabin in the woods. I like your quilt. I have dreamt of going to Prince Edward Island for a get away. I'd love another getaway to the Netherlands. What a fun fun design! It allows for those gorgeous fabrics to really play! I'd love to getaway to New Zealand! Your pattern is a great showcase for these batiks. Cute design and gorgeous colors. I'd love to getaway to the Caribbean. Right now, I want to get away from the pile of dishes staring at me!! But if I really could go somewhere, Hawaii sounds good right now. I’d love to getaway to some sunny coastal destination right about now. Love the colors in this batik collection. I LOVE Dots and Dashes!!! Fabulous quilt with great fabrics!! We just got 5" of snow last night and I would love to get away to a sandy beach in Bora Bora!!! What a fabulous way to showcase this collection. Thanks for sharing! Oh how nice it would be to get away to a warm climate near the ocean. Thank You for giveaway. Your design is great and a wonderful display of the fabrics. With all the really cold temperatures and my pipes froze and we are expecting more snow, snow is okay, can't stand freezing rain so I would wish to fly off to sunny skies and warm breezes and a beautiful ocean! Great design to show off those luscious batiks! Road to CALIFORNIA next week!!! 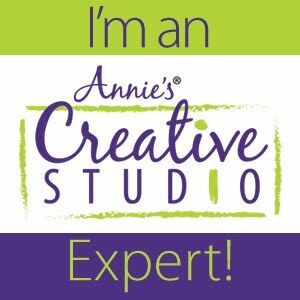 Classes, volunteer, fabrics and my kind of people = joy! I love seeing the same fabrics worked into totally different quilts. Terrific design, works so well with the Paisley Park colours, so happy to have shared the blog hop day with you Nancy. The colors and designs of Paisley Park are my favorite and you've used the fabrics in a truly fun way! We are planning our getaway during the first week of February as we cruise to the Eastern Caribbean...leaving the cold winter of Iowa behind for a week! That is one very cool quilt! A getaway to my sewing room is enough for me. No interuptions and a good movie to watch. What a fun quilt and great use of the fabric. Such a cute quilt! My "learn one new thing " in 2018 was working with circles! This would be sew fun to make! What thread did you use? It is perfect for this gorgeous quilt. I recentenly did some blanket stitched applique and it is not as defined as this. What a cute pattern. I would like to take a trip to visit more of the United States as there are many states still to explore. Great pattern! I wish my circles were so exact! I'm ready for a trip to Texas! I would love to getaway to my hometown to spend some time with my friend Diane. The applique is so pretty! I would love to find myself in Barbados! Love your quilt. The fabrics are perfect for the pattern. I would love to go back to Hawaii. We went there in 1983 for our honeymoon and have not been back since. I love your design! Beautiful quilt!! Love a getaway to Napa Valley to tour the wineries. Your Dots & Dashes has great eye appeal and I'm a fan of the blanket/buttonhole stitch. There are 3 Getaways on my wish list. First is a return trip to the Sewing Expo in Puyallup, WA. 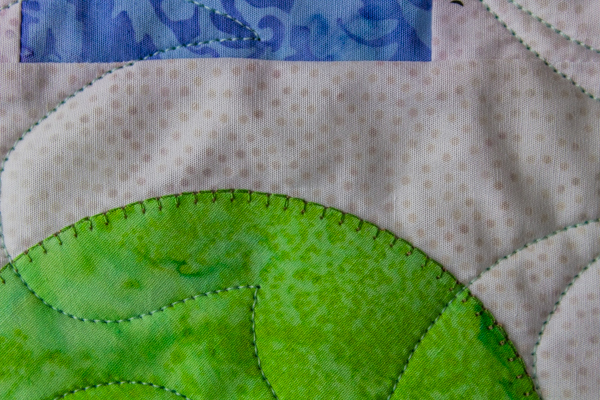 Quilting is an important component of the Expo, so always fun and challenging. Second is the Rose City Yarn Crawl in Portland, OR. I haven't been yet, but as I love knitting, I know it would be so much fun to visit 15-20 yarn shops. 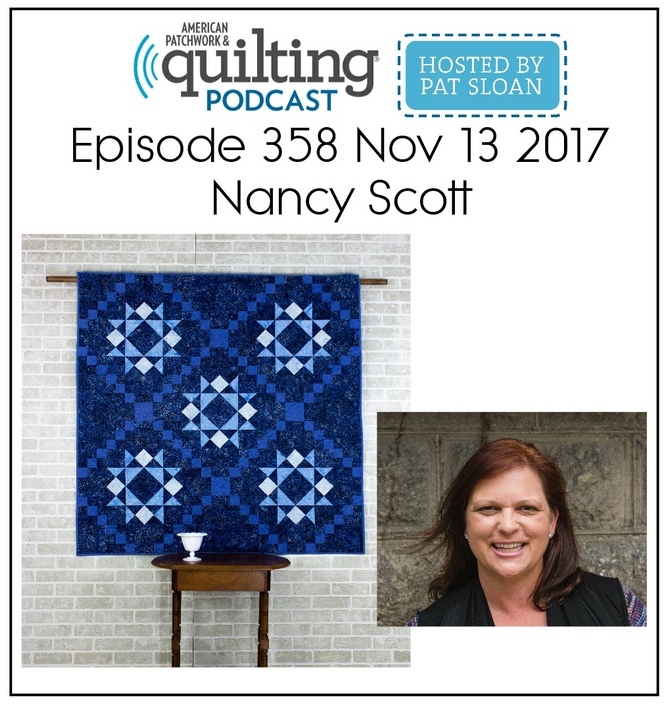 Third is the Sisters Quilt Show over in eastern Oregon. Lovely area and quilt shows are always fun and inspiring. I don't think this is the year, but I'm hoping next year. Meantime, this is my first blog hop and I'm finding it very interesting and instructive. Your quilt is lovely!! My favorite getaway is a cabin in the Smoky Mountains! Love the colors! So pretty. Your design is big and bold, and perfectly showcases those gorgeous batiks. Such a wonderful pattern and beautiful fabrics! I’d love to make this quilt! Love the circles!! And such lovely stitching!! Beautiful!